I know you love a great sweet treat right? 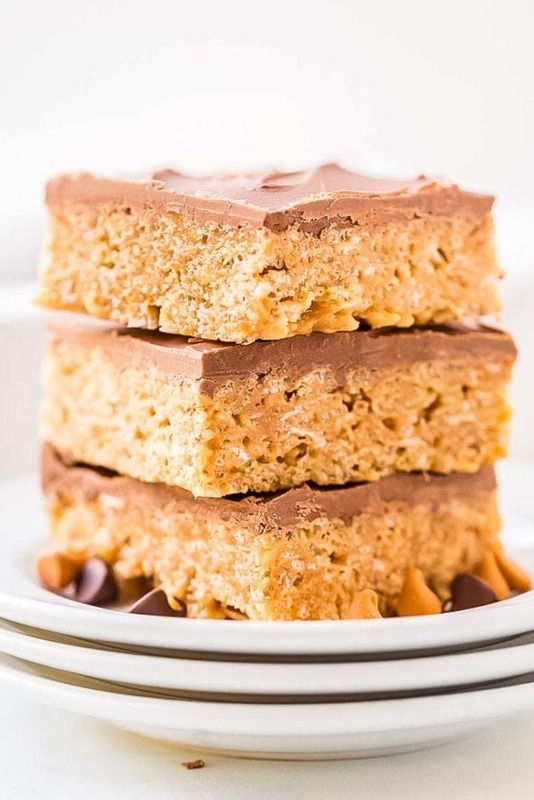 No Bake Scotcheroo Pie, Cookie Butter Scotcheroos or even my recipe for Football Scotcheroos are super popular here on the blog! Who can blame a gal, right? 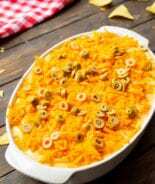 Crunchy, sweet and delicious it’s just a satisfying flavor combination! Sooo…. 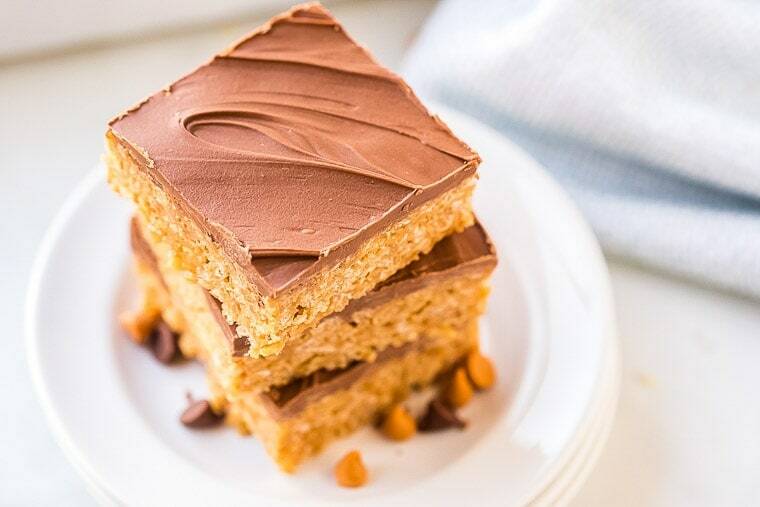 because I know you love them so much, now I’m serving up these super tasty Rice Krispie scotcheroos! Ok.. well maybe that’s a little too much, but I’m saying you’re going to be enjoying these bars!! How long do Scotcheroos last? Well not long at my house! Seriously though, they will last up to three days. Absolutely! If you are not going to eat them right away, divvy them up in the appropriate amounts. Wrap well in tin foil or plastic. Add to a ziplock bag and tuck in the freezer. Well sealed they will last up to six months in the freezer. How many cups are in a 12 oz. box of Rice Krispies? A twelve-ounce box will be about ten cups of cereal. It will only take one box of cereal to make one batch of scotcharoos. 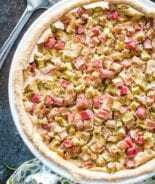 While researching this recipe I came across a very interesting question. Is it Scotcharoos or Scotcheroos? 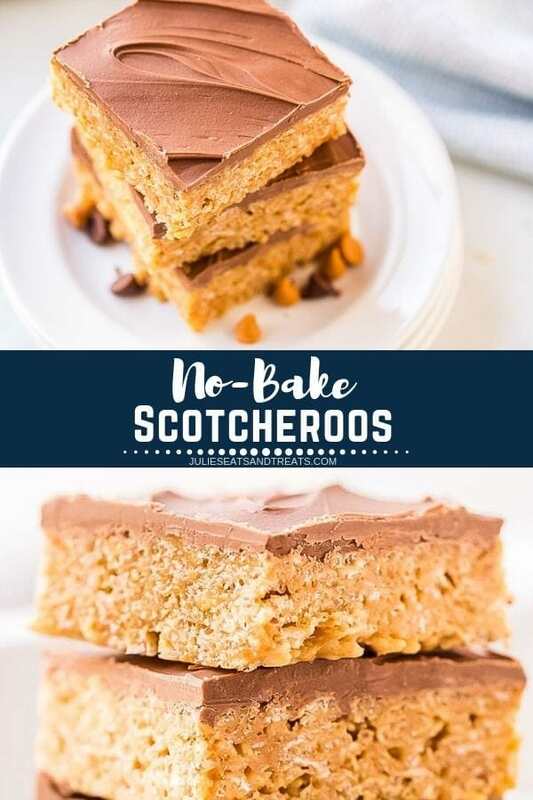 I’ve always thought it was Scotcheroos, but apparently half of you spell it Scotcharoos! Coat the baking dish with cooking spray. Combine sugar and corn syrup in a saucepan. Cook over medium-low heat, stirring frequently until melted. Add the peanut butter and vanilla and stir until smooth. Remove from heat. Pour the cereal in a large mixing bowl. wl. Add peanut butter mixture; stir until thoroughly coated. Press onto bottom of the pan. Microwave the butterscotch and chocolate chips in a microwave-safe bowl for 1 minute; stir. 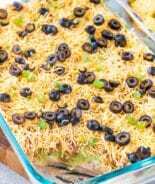 If necessary, microwave at 10 to 15-second intervals, stirring until smooth. Spread over cereal mixture. Refrigerate until topping is firm. 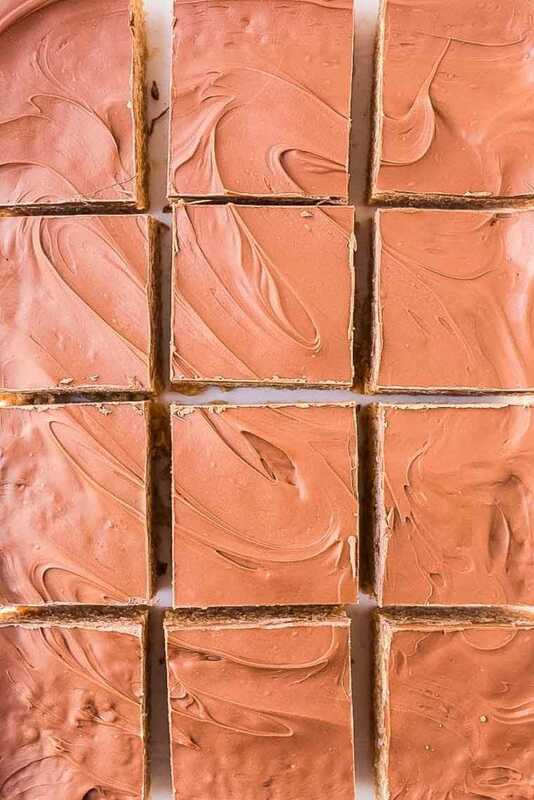 Slice into bars. 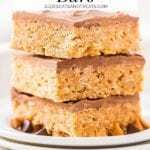 More of my favorite dessert bars to try! Don’t forget, comment below and let me know how much you love this treat! If you post a picture on Instagram and be sure to tag me so I can see it too! 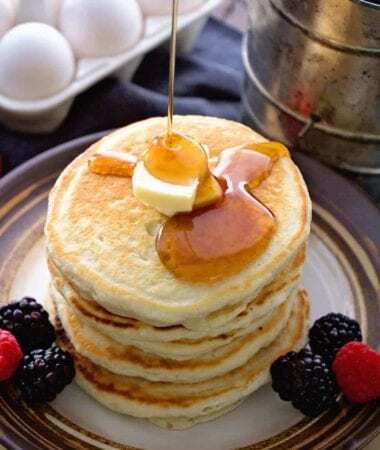 I’m loving all of your delicious foodie pics! 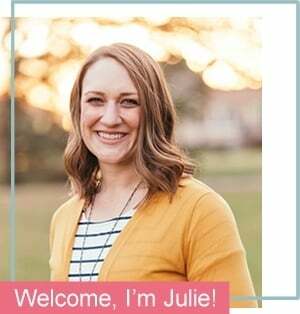 You can find me at @julieseatsandtreats or just #julieseatsandtreats. If you hashtag me, I’ll get to see it that way too! 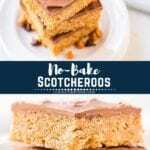 These Scotcheroos are an easy no-bake dessert recipe that are always a hit! 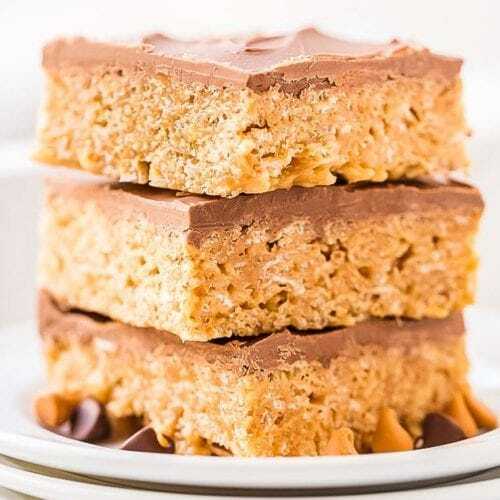 Gooey Rice Krispies mixture topped with a chocolate butterscotch frosting! Combine sugar and corn syrup in large saucepan. Cook over medium-low heat, stirring frequently, until melted. Add peanut butter and vanilla. Stir until smooth. Remove from heat. Put cereal in a large mixing bowl. Add peanut butter mixture; stir until thoroughly coated. Press onto bottom of prepared baking pan. Microwave butterscotch morsels and semi-sweet chocolate chips in large, uncovered, microwave-safe bowl for 1 minute; stir. Morsels may retain some of their original shape. 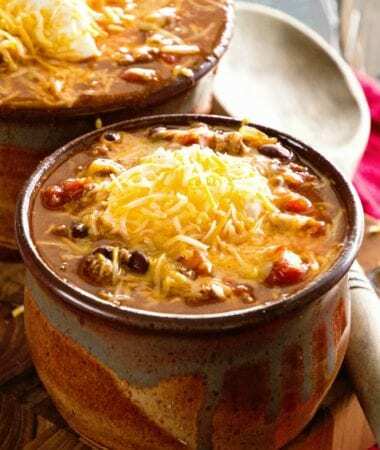 If necessary, microwave at additional 10- to 15-second intervals, stirring just until smooth. Spread over cereal mixture. So glad you enjoyed them Celeste! Love that frosting combo, must try that! How long do Scotcharoos last? Ha ha! There is no reason to store these. They disappear so fast! These are the easiest to make, the best to eat, and the first to disappear! 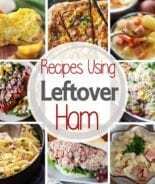 Easy to make, and no leftovers! That is a thumbs up from my family and me! 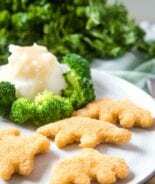 This recipe was fantastic and brings back so many childhood memories! Thank you! So glad you enjoyed it Karly! Warning: These are highly addictive!! As in I can eat 1/2 of the pan myself!! !